A pair of handmade, one of a kind lampwork earrings. 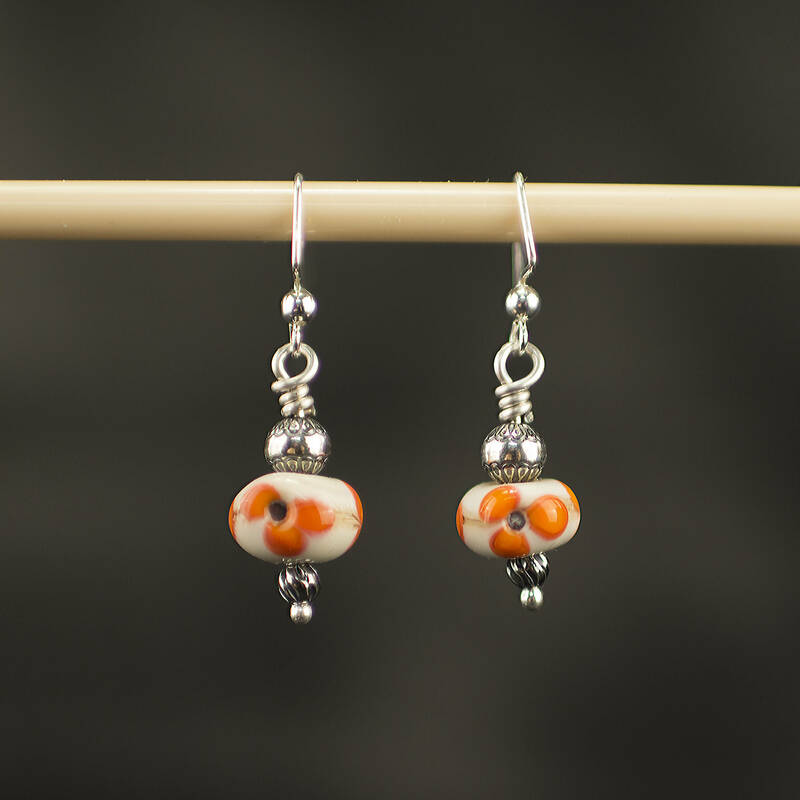 These lovely and delicate floral earrings are made with an elegant handmade lampwork bead with orange flowers on a white background. Nickel free Loop ear wires.